Correction: A previous version of this article stated Li and Zhang could still play in the upcoming rounds, which is not possible anymore. The Euro Open tournament is all but decided right now with Zhang Tao 5p continuing his winning streak to 8 after defeating top Korean player Kim Youngsam 7d. 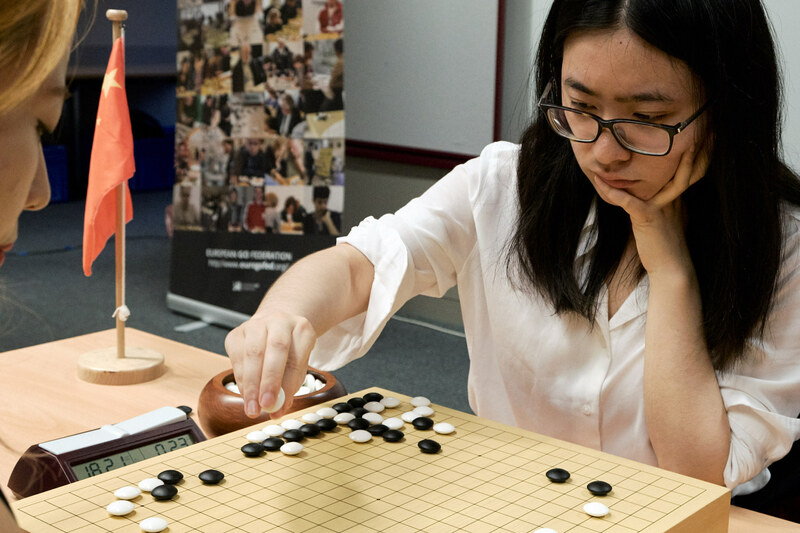 At the same time, however, Li Xiaoxi 2p remains a contender with 7 wins after her win against Mateusz Surma 1p. Li could still win the tournament if Zhang loses in the upcoming rounds 9 or 10. In other news, the Computer Go event yesterday saw a tie between humans and artificial intelligence. Li Ting 1p won against LeelaX whereas Ohashi Hirofumi 6p lost against DeepZen by seven and a half. See the SGF files below for both games.